October | 2014 | Communicate with meaning. Marine Capt. Derek Herrera is walking. That’s newsworthy because he was paralyzed from the chest down in June 2012 when he was shot in Afghanistan. Today he’s using ReWalk, invented in Israel by ReWalk Robotics. ReWalk consists of motorized leg braces, a backpack containing a computer and several lithium ion batteries, a wrist-mounted controller and crutches for balance. “Being able to look at a person at eye level is awesome,” he said. 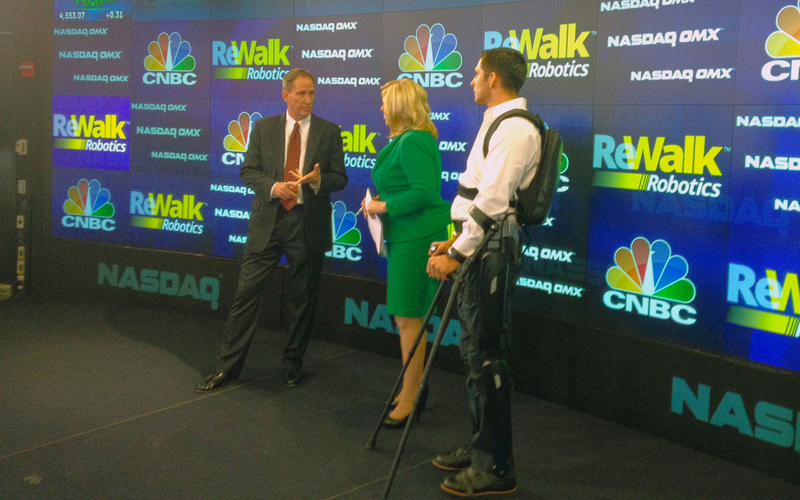 ReWalk recently obtained FDA approval and the company issued an IPO last month.